RUSSELL CAMPBELL is Adjunct Professor of Film at Victoria University of Wellington. He is also a partner in Vanguard Films and a trustee of the Community Media Trust. As a documentary filmmaker his work includes Sisters from Siberia (2009), Sedition: The Suppression of Dissent in World War II New Zealand (Media Peace Award, 2005), Rebels in Retrospect (1991), and Wildcat (co-directed, 1981). He was the inaugural Project Officer at the New Zealand Film Commission (1979-80) and has been a professional script consultant since 1980 – his latest credits are Balibo (Australia, 2009) and Hook, Line and Sinker (New Zealand, 2011). 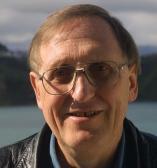 He was the founder editor of the film journal The Velvet Light Trap in the United States, and edited the New Zealand journal Illusions from 1986 to 1990. He is the author of numerous articles on film and the books Observations: Studies in New Zealand Documentary (Victoria University Press, 2011), Marked Women: Prostitutes and Prostitution in the Cinema (University of Wisconsin Press, 2006; CHOICE Award for Outstanding Academic Title) and Cinema Strikes Back: Radical Filmmaking in the United States 1930-1942 (UMI Research Press, 1982). He is also the compiler/editor of Photographic Theory for the Motion Picture Cameraman and Practical Motion Picture Photography (both Zwemmer/Barnes, 1970).